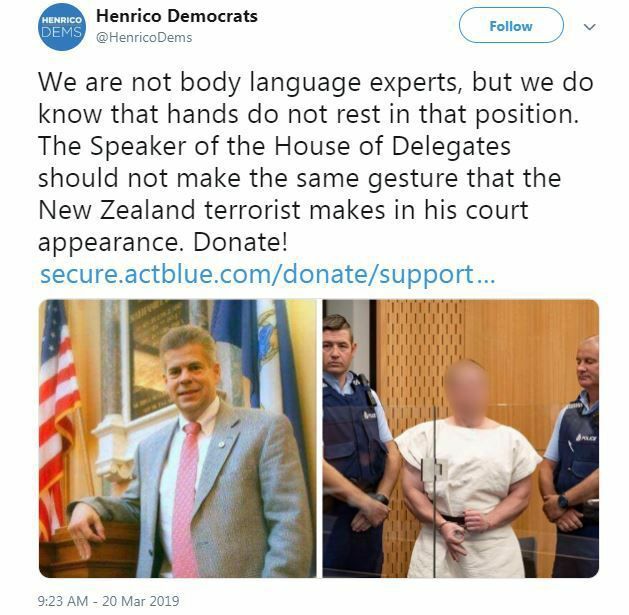 Their implication being the Speaker MUST be a white supremacist! It doesn’t get any more ridiculous than that. After a great deal of backlash Henrico Democrats removed the offensive comparison from their Twitter and Facebook pages today. More on this ridiculous story here.